ConnectCode Animator - Create lively Silverlight Animations. ConnectCode is an animation authoring software that helps you create stunning and interactive effects for your website using the Microsoft Silverlight platform. It is simple to use, fully featured, professional, and open source. You can easily create vector graphics, import pictures, create text and add animation effects in the designer tool without any programming experience. The animator will automatically generate the output for you which you can upload to liven up your website. 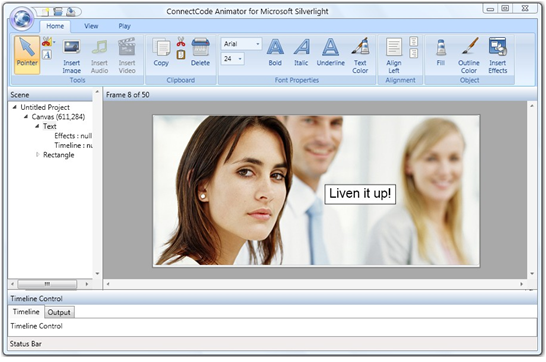 ConnectCode uses Microsoft Silverlight technology to create cross platform animations. The aim of the software is to allow you to create a large number of automated effects and transitions in an easy and flexible manner. 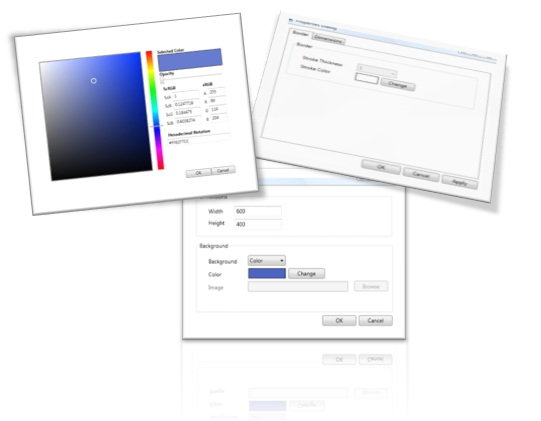 The designer tool itself is based on Microsoft .Net WPF(Windows Presentation Foundation) Framework. It also uses licensed Microsoft WPF Ribbon.